Award realized thanks to the support of Sun Film Group and consisting of a € 5,000 prize. Bestowed by a jury composed of the members of the Verona Film Club and awarded to the most innovative film in the section.
" Orfeo’s head, separated from the body, closes its eyes to the world and opens them up for vision. It doesn’t stop its sorrow, its chant is not interrupted. For inviting us to welcome this call, to look at the pain of living with a sleepy smile, to travel with voracious forgetfulness shoving down flowers and tons of salmon pies, accompanied by hurt and beautiful young people looking for a taste that seems lost. For insinuating that memory is the plumb line of our present, but forgetting is a revolutionary act as much as looking for answers from a camp sitcom or advices from resentful cats. For immersing us in a cycle of lethargy and awakenings that re-writes the traces of real and drowns images in dream. For forcing us to reset our senses and our constructions, demonstrating that a radical cinema is shameless and always possible, actually, necessary." Sponsored by the Hotel Saturnia & International in Venice and conferred by a commission of experts. "In the Syrian war inferno, the image catches the horror of battle, the strength of sharing, the truth of a people. From the theory of Hollywood action to the urgency of documentary, the digital technique captures the absolute present of History, testifying the resistance of life in death camps, with a throbbing editing that makes an ongoing tragedy something palpable." The General Delegate Giona A. Nazzaro commented: "A selection that carries in its own DNA a desire for future, the pleasure of diversity and the search for new gazes. A selection that, at a time when politics are closing doors, wants to open all the windows, in a rossellinean way, inviting us to think about today's contradictions and work for a combative cinema." "One young gangster, confined to his small apartment — a big body, almost too big for the frame and his voice: out of the constraints of the situation Tommaso Perfetti develops a vivid and multifaceted portrait of a man trying to affirm and to lose himself. By refraining from any judgement he frees both him and the spectators, in an act of confident documentary filmmaking." sponsored by Stadion Video and consisting of the English subtitling for the next short film by the winning director. "Getting Lost. Finding light and earth and water. The sky is blue, the hens get fed and maybe only maybe it does mean something to work, to draw, to build. The quest this film develops is an exterior one, turned towards the world and the fantasies it evokes. Its curiosity is one that doesn't require answers, even if there are a few." sponsored by Fondazione Fare Cinema and consisting of an invitation to the 2019 edition of the Advanced Training Course in Film Directing “Fare Cinema”. "The private reality of a family: fragments of their past and present, shared moments, glimpses of intimacies. The voice of a daughter who passed away mingles with a rhythm of memory, a density of love, a stream of consciousness. Seamlessly and vivid, as if separations were only an illusion". The selection of the 33rd Venice International Film Critics’ Week is curated by the General Delegate of the Venice Critics’ Week Giona A. Nazzaro together with the members of the selection committee Luigi Abiusi, Alberto Anile, Beatrice Fiorentino and Massimo Tria and includes a selection of seven debut feature films in competition and two special events out of competition, and a short films programme, SIC@SIC (Short Italian Cinema @ Settimana Internazionale della Critica) composed of seven short films in competition by Italian directors who have not yet embarked on a full-length film, and three special events, all screened in world premiere. Once again, the Venice International Film Critics’ Week is pleased to count on the support of BNL Gruppo BNP Paribas, a bank that has always been active in supporting Italian cinema and international film festivals. The sidebar is also realized under the patronage of the Regione Veneto, Provincia Autonoma di Bolzano Alto Adige, Adige Provincia Autonoma di Trento and Regione Autonoma Friuli Venezia Giulia. 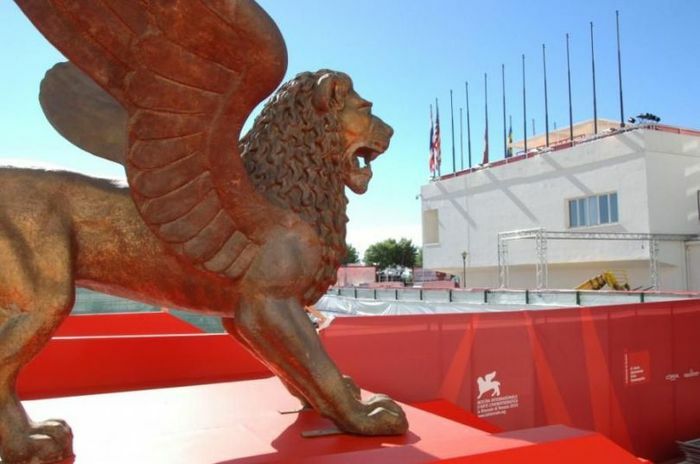 After the Venice Film Festival, the films selected at the Venice Film Critics’ Week will travel to several cities in Northern Italy regions Veneto, Trentino Alto Adige and Friuli Venezia Giulia. The Venice International Film Critics’ Week is also made possible thanks to the support of other important sponsors and partners, such as, Istituto Luce-Cinecittà, Sun Film Group, Circolo del Cinema di Verona, Agnus Dei – Tiziana Rocca Productions, Hotel Saturnia, Frame by Frame, Stadion Video, Fondazione Fare Cinema - Bobbio Film Festival. The Venice Film Critics’ Week is happy to collaborate with its media partners: FRED, multi-lingual web radio; Festival Scope, online platform for film professionals; Quinlan, web magazine specialized in film criticism; Centro Nazionale del Cortometraggio (Italian Short Film Center).